Inkadinkado Mounted Rubber Stamp 2.5"X1.5"
Inkadinkado Mounted Rubber Stamp 2.5"X1.5" - INKADINKADO-Wood Mounted Rubber Stamps. 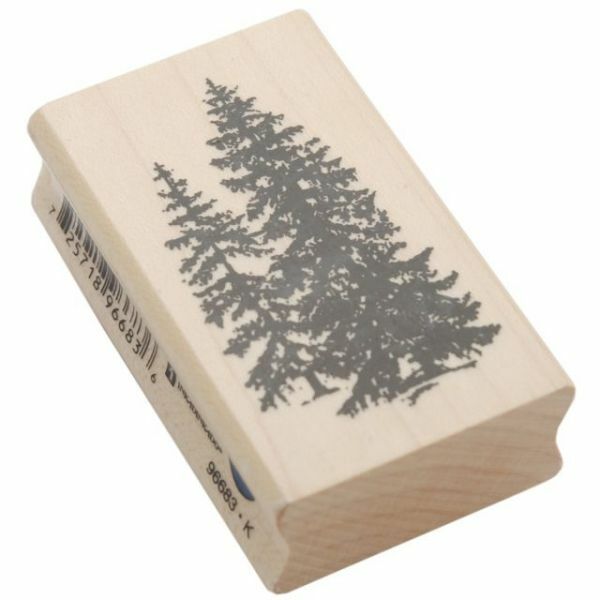 These rubber stamps feature a hardwood base with an indexed edge to make the stamp easier to hold and a precisely cut deeply etched rubber design layer that will leave clear, crisp, highly detailed images on most surfaces. This package contains Pine Trees: one stamp mounted on a 2-1/2x1-1/2 inch block. Imported.